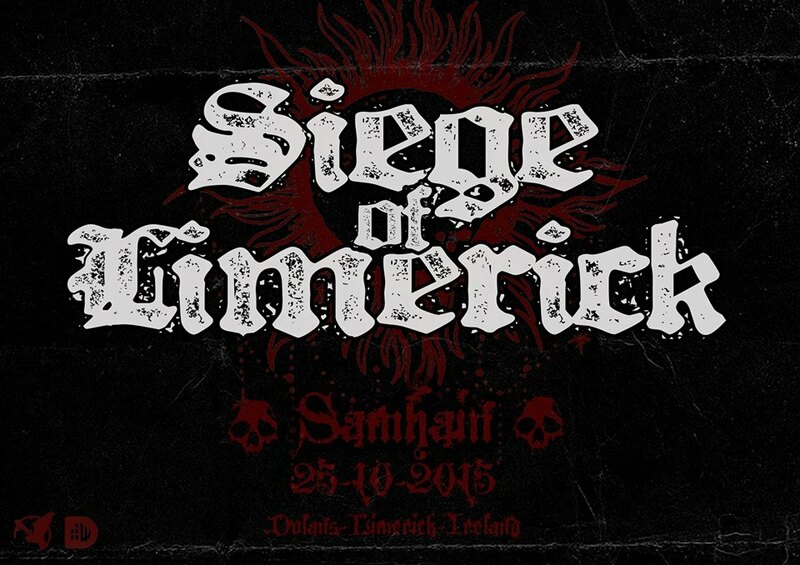 The Siege of Limerick is a FREE in all day event held in the welcoming surroundings of Dolan’s over three stages. Running in Limerick city twice a year since 2009 the Siege has grown to welcome hundred from both up and down the isle and abroad. This is a community event that prides itself on bringing you the highest quality Irish and International Underground Metal. Limerick is a city steeped in history and we highly recommend making a weekend of this. The bar to the front of the venue is open from 11am for breakfast. venue opens at 12.30pm. U18’s are permitted in the venue until 7pm, Strictly no alcohol for all U-18’s, immediate expulsion from venue in any such cases. Siege T-shirts will be available in sizes small to xxl (and girlie), in limited runs. They generally sell out, and we won’t print more – get them early. Headline bands start from 8pm. The bar has a full food menu, dietary requirements catered for. There’s cheap beer, there’s fancy beer, there’s good stout, and a good selection of spirits. Now have at it, folks! The Siege is always a cracking day out.